There are two reasons I’ve never been one for natural deodorants. First, you have to apply 99.9% of them with your fingers—dipping my fingers into a cream and then wiping them over my armpits is too messy and unsanitary for me. Second, they don’t work (in my experience). But I understand the appeal of natural deodorant (or, rather, the desire to not use traditional deodorant). Which is why when I stumbled across this seemingly obscure deodorant alternative—one that Brazilians have been keeping a secret for decades, apparently—I immediately felt the need to investigate. Scroll through to find what strange substance I put on my underarms and what I thought about it! By now, we’ve all pretty much accepted the fact that everything has alternative uses. Vaseline as stain remover, castile soap as brush cleaner, apple cider vinegar as mouthwash, even deodorant as blister block—the list goes on. But we can honestly say we never thought we’d discover an alternative use for laxatives. But Brazilians have: The traditional Brazilian remedy for body odor is none other than milk of magnesia. So I went to my neighborhood CVS and picked up one of those blue bottles filled with magnesium hydroxide suspended in water. I went with the mint variety, because why not? First impressions: Milk of magnesia isn’t a pleasant substance. It’s chalky and a little chunky. After a thorough shake, I applied the milky liquid to a cotton pad and dabbed it onto my (freshly showered) underarms. It did take a couple minutes to dry. But once it did, it didn’t leave a white residue like I was expecting. Later that afternoon: By 2:30 p.m., I was already starting to question this deodorant alternative. I don’t consider myself a generally sweaty/smelly person, but by mid-afternoon, I wasn’t not feeling or smelling as fresh I normally do on shower day. If I wasn’t writing a story about my experience, I wouldn’t have attempted day two with milk of magnesia. But I pressed on. For day two, I tried to make the application a little thicker. Day two: I don’t think my “thicker application” was that much thicker, or if it was, it didn’t make much of difference. Perhaps I was just über-cognizant of the way I smelled that day, but again, I felt the Brazilian remedy had failed me. Day three: Time to consult an expert, the Internet. The mission? Try to find out why so many people rave about this natural remedy. Pros: It’s cheap, it’s non-irritating, and it doesn’t contain baking soda (like so many other natural deodorants). I still couldn’t find anyone speaking of negative experiences like mine. But I did find most sources were using a different application technique than I was. Apparently the cotton pad was holding me back, because it absorbs a lot of the product, and for whatever unknown reason, applying milk of magnesia with your fingertips is a much more effective method. Day four: I see the light! The new application method works. It still takes just as long to dry (sans residue), but by the afternoon, I’m not smelling myself. Success! But we’re back to that first reason I don’t use natural deodorants—I don’t like using my fingers. Through my research, I discovered some handy DIY-ers prefer to use a spray bottle application. (I also learned milk of magnesia as deodorant is popular in Cuba.) 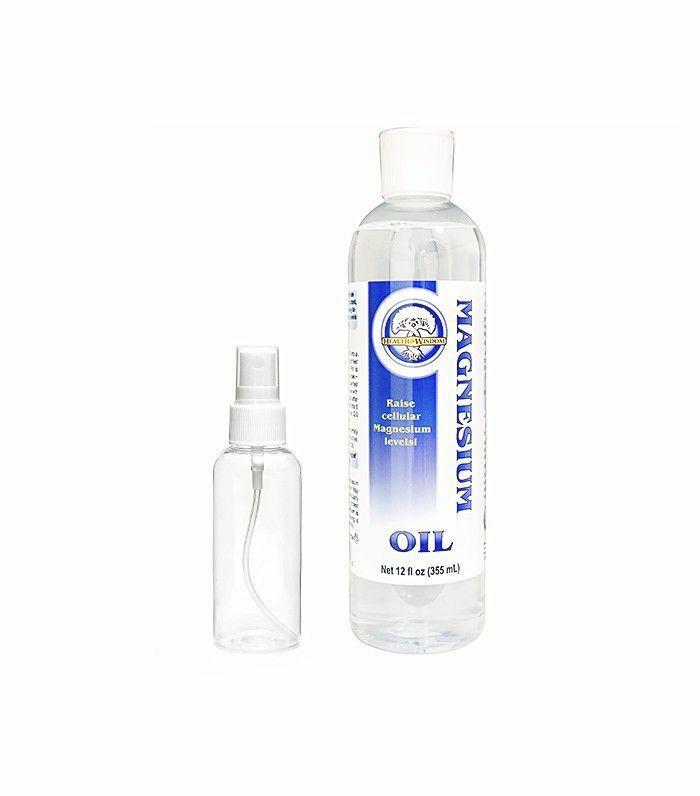 You can either pour your milk of magnesia into a spray bottle or mix four ounces of magnesium oil with a few drops of your favorite essential oil into a spray bottle if you prefer to spritz on your odor blocker. I am not a handy DIY-er, and spraying laxatives onto my underarms seems just as messy as using my fingers, so I stuck with the good old-fashioned method. After a week with chalky white laxatives in my armpits, I went back to my regular old stick deodorant for one reason only: It’s quick and easy. If avoiding aluminum- and chemical-filled deodorant takes priority over ease of application for you, I’d recommend milk of magnesia. If you don’t want to compromise on either aspect, try The People’s Pharmacy Milk of Magnesia Roll-On Deodorant ($7). 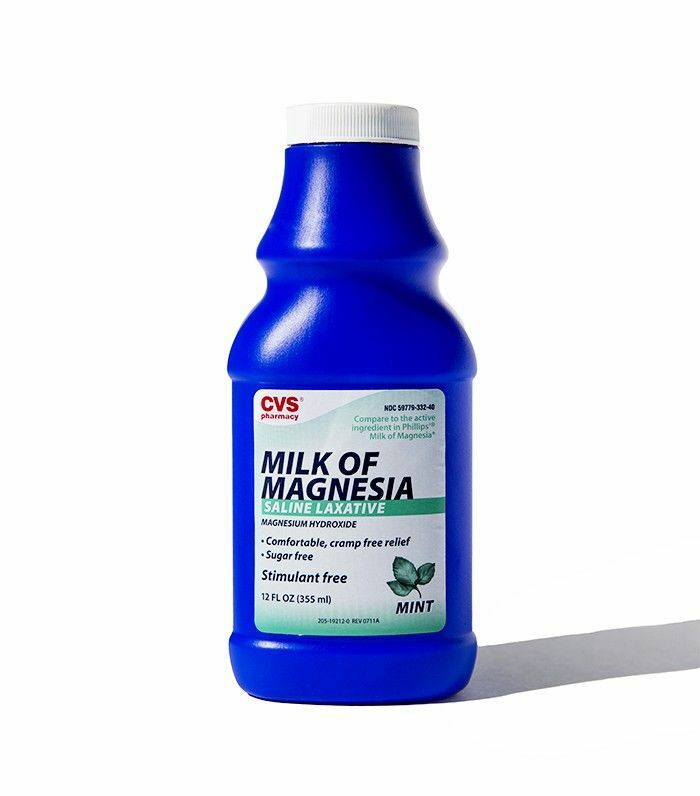 Have you ever tried using milk of magnesia? Share your experiences below!